Today, the European Parliament voted in favour of increasing the allocation for LIFE, the EU’s only funding instrument for climate change, environment and nature conservation, from 0.3% to 0.6% of the EU budget. Today, the European Parliament voted in favour of increasing the allocation for LIFE, the EU’s only funding instrument for climate change, environment and nature conservation, from 0.3% to 0.6% of the EU budget. This is higher than the European Commission’s proposal to increase the allocation to 0.4%. Parliament also voted to dedicate 45% of the fund to nature and biodiversity projects, 5% higher than the recommendation from the European Commission. WWF welcomes these increases, although they fall short of the call of more than 200 organisations for a minimum 1% budget allocation and at least 50% of the overall budget to be allocated to the Birds and Habitats Directives. LIFE is fundamental for achieving the EU’s objective of halting biodiversity loss by 2020, and its international commitments on biodiversity, environment, climate change and sustainable development. WWF acknowledges that the increase in allocated funds to 0.6% is a step in the right direction, but this is still an inadequate percentage of the overall EU budget, equating to less than 1 EUR cent per day for each EU citizen. The LIFE programme is an investment in both nature and people. As the mid-term evaluation of the programme shows, LIFE has been successful in preserving nature in the EU and providing innovative ways for environmental friendly solutions for industry - helping not only to protect biodiversity and the environment but also in providing employment. Between 2009 and 2015, LIFE created approximately 74,500 jobs across the EU. "It’s commendable that the European Parliament has gone slightly above the European Commission’s recommendations, but even with the proposed increase the LIFE budget remains minuscule. This clearly shows that policy makers continue ignoring the real value of our planet and the biodiversity it hosts, and fail to understand that funding nature conservation is not a cost, but an investment in our future", Andreas Baumueller, Head of Natural Resources, WWF European Policy Office. 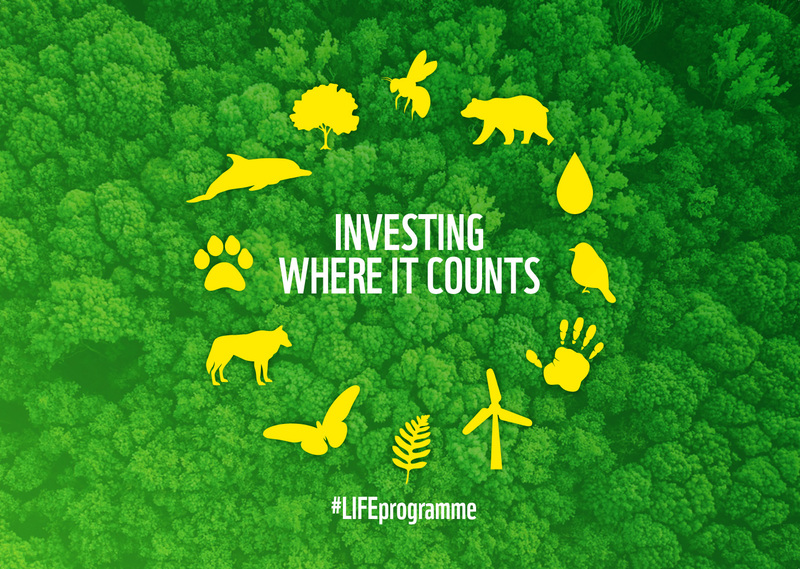 An increase to 1% would further enable the LIFE Programme to fulfil its aim to contribute to the implementation, updating and development of EU biodiversity, environment and climate policies. WWF urges the Environment Council to send a strong message in support of increasing LIFE funding at its meeting on 20 December.